The presence of short- and long-term autocorrelations can lead to considerable change in significance of trend in hydro-climatic time series. Therefore, past findings of climatic trend studies that did not consider autocorrelations became a questionable issue. 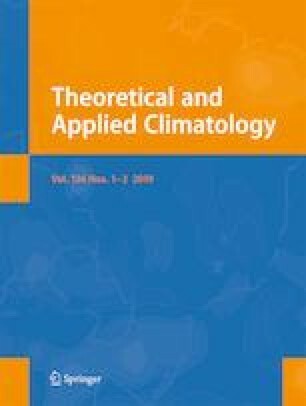 The spatial patterns in the trends of annual and seasonal temperature, rainfall, and related extremes in Egypt have been assessed in this paper using modified Mann-Kendal (MMK) trend test which can detect unidirectional trends in time series in the presence of short- and long-term autocorrelations. The trends obtained using the MMK test was compared with that obtained using standard Mann-Kendall (MK) test to show how natural variability in climate affects the trends. The daily rainfall and temperature data of Princeton Global Meteorological Forcing for the period 1948–2010 having a spatial resolution of 0.25° × 0.25° was used for this purpose. The results showed a large difference between the trends obtained using MMK and MK tests. The MMK test showed increasing trends in temperature and a number of temperature extremes in Egypt, but almost no change in rainfall and rainfall extremes. The minimum temperature was found to increase (0.08–0.29 °C/decade) much faster compared to maximum temperature (0.07–0.24 °C/decade) and therefore, a decrease in diurnal temperature range (− 0.01 to − 0.16 °C/decade) in most part of Egypt. The number of winter hot days and nights are increasing, while the number of cold days is decreasing in most part of the country. The study provides a more realistic scenario of the changes in climate and weather extremes of Egypt. The authors are grateful to Universiti Teknologi Malaysia for providing financial support for this research through GUP Grant No. 19H44.